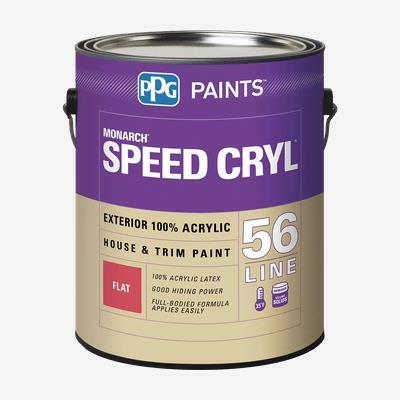 SPEED CRYL® Exterior Latex is a professional quality 100% acrylic latex that provides an economical option for good adhesion, hiding and coverage on a variety of exterior substrates. It is specifically formulated to meet the professional application needs of high volume new home, multi-family, commerical and large repaint projects. It offers a full body feel and provides a good balance of build capabilities and sag resistance for spray, brush, or roll application.